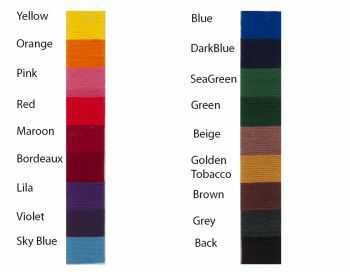 Accessories :: Wool & Silk Dyes :: Set of 18 dyes. Home/Accessories/Wool & Silk Dyes/Set of 18 dyes. This set includes 18 colors. Dyes for wool and silk. 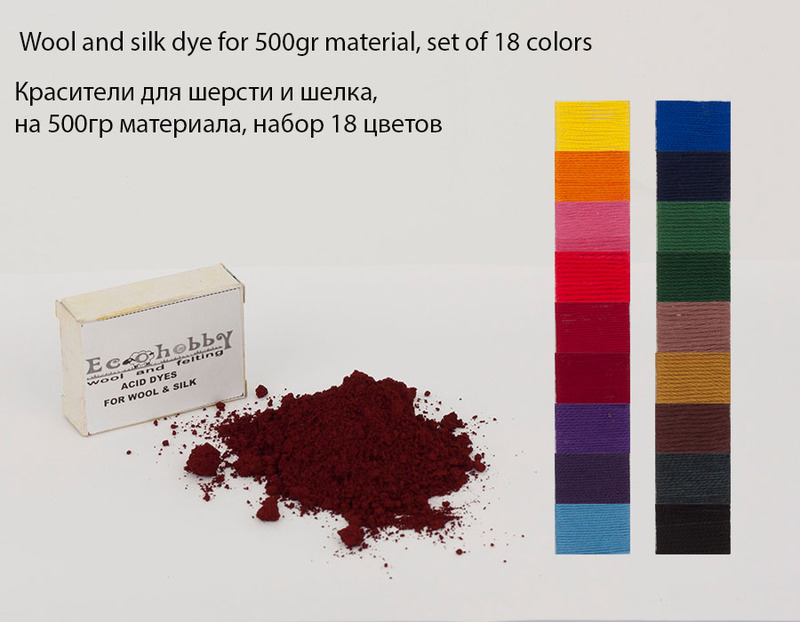 Swiss acid dye for wool, to dye 0.5kg of material. 1. Dissolve the dye hot water. 2. Wet the material that will be painted in warm water. For the 0.5kg of material is needed about 14-15l water. 3. Add 50g basic salt to the dye bath for 0.5 kg of material. 4. When the temperature reaches 40-50 degrees of dye bath, add the dye and then the material that will be painted. 6. Time painting from 60min to 90min, depending on the desired color intensity. 7. It is necessary to rinse well in warm and then in normal water. Use protective equipment: a mask, gloves and an apron! Todo perfecto!! Artículo tal cual descripción y el envío dentro del tiempo estimado. Very saturated colors, great price for the pack. Fast shipping. Great colours, good dye, love it, used it for wool, thank you for your fast delivery. Thanks so much, i think i will buy one more time. These dyes are very good. Very concentrated. The colors are very beautiful. I tested on goat mohair and the result is superb. Thank you for the little gift that smells very good. Very satisfied ! I recommend this shop. Bien reçu, à tester plus tard, bonne communication,merci. Many thanks! Fast delivery, highly recommend!